The predominant model of the mind and/or spirit is mostly derived from the Five Element school of thought. 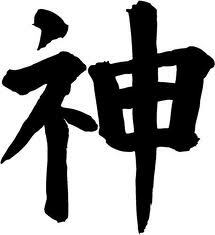 The five aspects of the mind are Wood – Hun, Fire – Shen, Earth – Yi, Metal – Po, Water – Zhi. Collectively these comprise the Shen. This term includes the Fire Element Shen. Below are a very simplified definition of each aspect. That which makes humans more than an object in motion. Somewhat like western notion of spirit, resides in the Liver. Notice that the five aspects are distributed throughout the body. There is no distinction between mind and body; they’re one entity. The ethereal affects the substantial and the substantial affects the ethereal. They’re both Qi which is manifesting as one person. It‘s interesting to note that this is contrary to the new-age notion that everything, especially illness, stems from the mind. If everything stemmed from the mind then Moving Liver Qi or Tonifying Kidney Yang would have no effect. The temptation to understand Oriental Medicine by fitting it into western models is strong. But reconciling eastern and western medicines is a vast ocean that is almost entirely uncharted. The emotions are an extremely important aspect of Traditional Chinese Medicine (TCM). Emotional well being is an integral part of health in the TCM model. Each emotion is associated with an organ, which, if out of balance will cause specific symptoms. These are what the experienced acupuncturist or practitioner of TCM is looking for when you walk into their office with a complaint. Emotions are of course a natural part of being human. Feeling joy, sadness and anger and all perfectly normal experiences we have in our day to day lives. It is when these emotions become excessive, or are repressed and turned inward that they can become pathological and cause disease. The belief is that balancing the organ associated with the emotion will balance the emotion. Sometimes the organ is out of balance and produces the emotional imbalance. But sometimes the emotional imbalance can produce the organ imbalance. The difference to the practitioner is important only in preventing a recurrence of the problem. For example, if a person is experiencing extreme fits of anger, frustration, red eyes, problems sleeping, migraines and constipation, they are seen to be suffering from an imbalance of the Liver. This can be corrected with acupuncture and herbs. The liver returns to balance, the migraines disappear, sleeping improves and the bowels return to normal. But, if the patient is in a job he hates, with coworkers that make him angry and is constantly fighting with his wife, his anger will remain and the Liver imbalance will return. This is why during the diagnostic process, the practitioner asks many questions, and to the patient, it might seem like they have no bearing on the presenting condition. The job of the practitioner is to evaluate all aspects, not just the physical, so that once the imbalance is corrected, the environment that created that imbalance no longer exists. It is important to remember that cause and effect in TCM is not linear but circular. We usually think that something is the cause of an act, or effect such as – eating too much will give you a stomach ache. Eating too much is the cause and the stomach ache is the effect. This is linear thinking. In TCM linear cause and effect does occur when symptoms are present, for example – going outside without enough warm clothes on in the middle of winter will cause you to catch cold, resulting in symptoms like a runny nose, achy muscles and a fever. These symptoms are the effect of the cold which was the cause. However, in some cases, the symptoms are not a result of such straightforward reasoning which is especially true when we are dealing with emotions. One very common cause of emotional imbalance in TCM is repressed emotions. TCM is all about balance and flow. If emotions are not being expressed, they are being stuck which can lead to a blockage of the flow or a stagnation, which is turn can lead to disease. How the disease manifests is completely individualized depending on many factors, and it is up to the practitioner to determine the “how”. Releasing emotions can heal disease. Even things that are considered extreme and long standing stagnation in TCM like cancer. Diseases which, in the West, are seen as incurable. Emotions that do not have avenues for expression and release can create disease and disharmony in the body manifesting as physical symptoms. So, it is very important to have a healthy emotional life, expressing your emotions freely and not allowing things to build up. If a patient is experiencing extreme mood swings between Joy (mania) and Fear (depression), it indicates an imbalance between the Heart (Joy) and Kidney (Fear). We would see symptoms such as insomnia, dream disturbed sleep, heart palpitations and dizziness. If a patient is experiencing violent mood swings between Anger and Grief, an imbalance between the Liver and Lung is present with symptoms involving breathing problems, issues with bowel movements and waking between 1-5am. If the depression is actually anger turned inward on itself, which is common with many women, the Liver is out of balance. Symptoms could include PMS symptoms, cramps during the period, vomiting and nausea. If obsessive thinking or worry characterizes the depression, we would suspect the spleen and look for symptoms such as decreased appetite, diarrhea, fatigue, heavy bleeding with the periods, and bruising easily. Sometimes the depression comes with panic attacks (Fear). In this case, we would suspect the Kidneys. We would look for urinary changes (usually an increase in frequency), low back pain and weakness, tinnitus (ringing in the ears), poor appetite and diarrhea. Emotions are not the only factor contributing to disease. Another thing to consider is lifestyle. It is difficult to always avoid getting cold, having an umbrella for when it might rain, getting enough sleep and eating properly. We live in a fast paced world full of stresses on both our minds and our bodies. We always seem to be rushing and there never seems to be enough time. And although sometimes we can’t help getting sick or feeling a little under the weather, it is important to remember that the cause of an imbalance may be occurring from events in your life. There is no needle for a bad relationship, stressful job or frustrating coworker. A practitioner can help you to deal with the stress in your life that may be causing the imbalance, but we can’t remove the stress. Only you can do that. Sometimes we feel that we are unable to change the circumstances that are causing stresses in our lives, but a practitioner can help you to deal with that stress by advising on how to eat healthy (eating with the seasons, and the incorporation of the 5 flavours – Sour, Salty, Spicy, Bitter, Sweet), and how to incorporate exercise and meditation techniques such as Tai Chi and Qi Gong into your life. The TCM practitioner is trained in how to live or the “Tao” (which comes from Taoist philosophy) helping both to rebalance a patient and educate him on how to retain that balance by living a healthy balanced life. We are all living full, busy lives. Imbalance is everywhere, and staying healthy isn’t easy. I have found that in my practice people often feel overwhelmed and exhausted. I always suggest that they be kind and gentle with themselves, and to try to do at least one nice thing for themselves every day, as our happiness is so important for our health. We are living in a time when we are dealing with so much, so it is important to take the time to do things for yourself like have a bath, read a book, spend time with your children, or walk outside in nature. Whatever brings you happiness and makes you feel good. It is these small things that are the keys to wellness. Life is the journey we all share, and if we live it with mindfulness and wisdom, that journey will always lead to balance and happiness.